Happy friday afternoon to you all, finally the world cup has started so here are some articles to read at half time. I also got over 2000 views in a day for the first time this week, Awesome. Thanks for everyone who visits the blog. CRM MVP Jukka write another excellent blog, this one is on the new configuration migration tool, which is a way to copy information between organisations and environments. 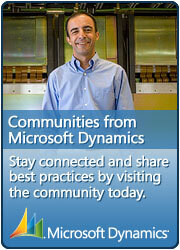 A blog about the new routing functionality added into CRM 2013, why did it take Microsoft so long to put this in>?